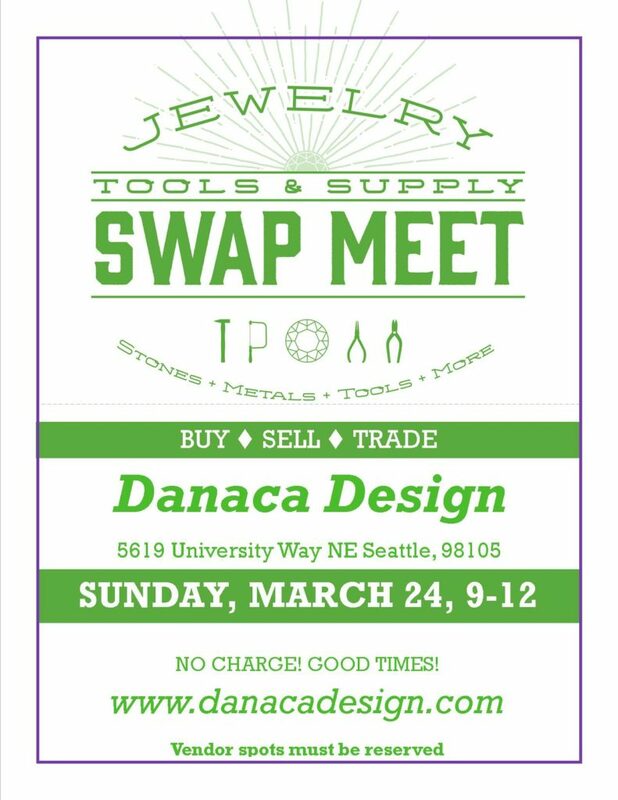 Join us in the studio March 24th for our annual Jewelry Tools & Supply Swap Meet! We'll have a variety of jewelry and metalsmithing tools, equipment, supplies, books, cabochons, beads, and other goodies. Swap Meet runs from 9am-12pm, arrive early for best selection. Want to be a vendor? It's free to participate but you'll need to RSVP as space is limited. Email dana@danacadesign.com or call 206-524-0619 to get on the list.